What are your typical jobs? We help customers with jobs as small as picking out new hardware all the way up to jobs as big as a full house remodel and everything in between. 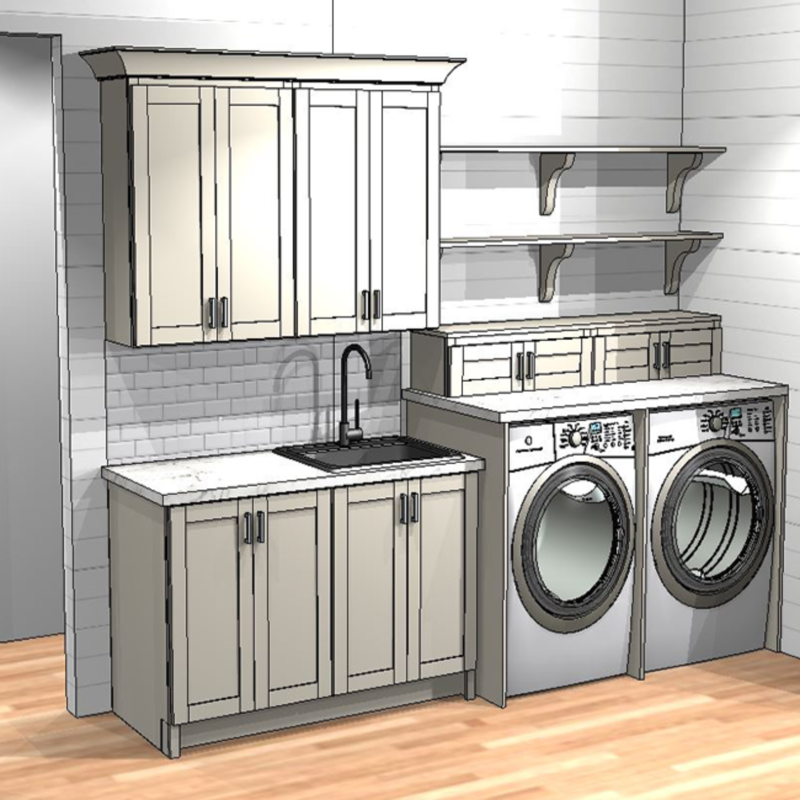 Option 1: Complimentary Service – This option offers an initial design consultation with one of our designers using client provided dimensions and would result in a future presentation in our showroom. During that meeting we will highlight the discussed features using a 2020 design drawing program. Straight Line will then provide a written quote with pricing for you to take home. Option 2: $500 Retainer – This option offers all the benefits of Option 1 plus a site/home visit and any follow up meetings/changes to the initial design at no additional charge. Straight Line will provide you with a written quote with pricing and 3-D perspective drawings for you to take home. Option 3: $2,500 Retainer – This option offers all the benefits of Option 2 plus all dimensional layouts for you to take home. *All retainers will be credited toward purchase of $2,500 or more. Typically, remodels for a kitchen take three to six months and bathroom remodels take one to three months. Every project is different. The length of a project varies depending on how quickly products are selected and availability of selected products. Do your designers stay up to date with current trends? We pride ourselves on a staff that is well trained in the latest design trends. They attend various product trainings, visit production sites, and participate in other educational design opportunities. Do I need to make an appointment to come to the showroom and what are your hours of operation? Do I need to hire my own installers (Builder, Plumber, Tile Installer, ect.)? No, you do not have to find your own installers. Our designers will hire them for you. If you already hired your own installers, our designers are more than happy to work with them. Where are you located? And what areas do you service? We have two West Michigan locations, one being in Spring Lake and the other in Holland. We cover a large area on the lakeshore, with remodels in South Haven or past Ludington. Why should we do business with your company vs any other kitchen and bath business? At Straight Line Design, we believe it is not just a house, “it’s your home,” and we want to “make it great.” We are locally owned and operated. 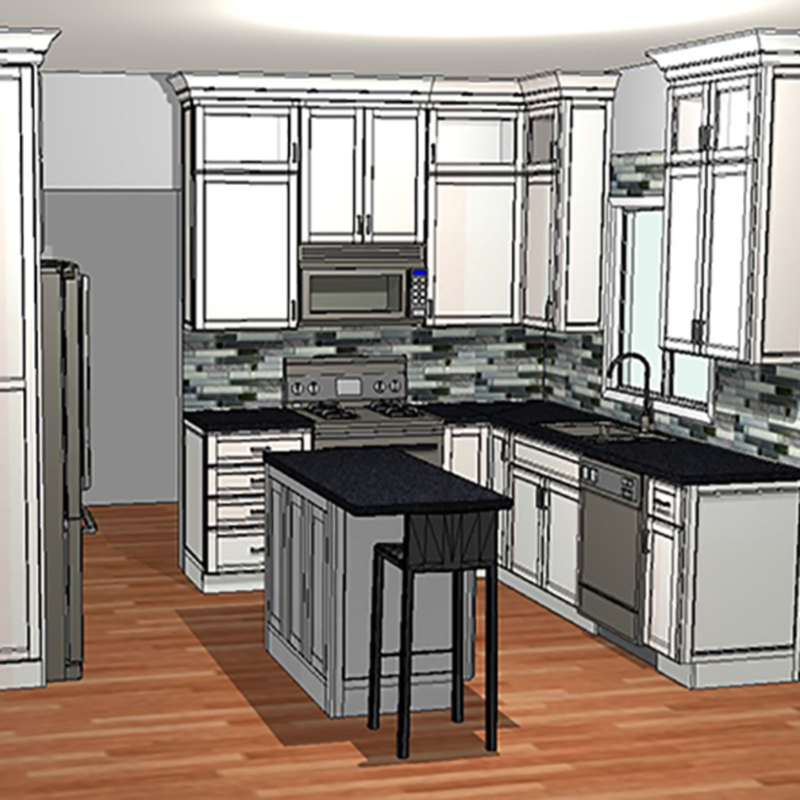 Our experienced designers not only design and sell products, but they will help manage the entire remodel from start to finish. Our personalized approach includes several one-on-one meetings for planning (in which we use a 3-D cad program to show you design ideas), home visits, and even a personal delivery team. We accept cash, check, Visa, Master Card, Discover and American Express. If you want to pay over the phone with a credit card, you may do so only with a Visa, Master Card or Discover. American Express cards must be swiped from our card reader at one of our showrooms to accept payment. I am on a budget; would you have cabinetry in my price range? Yes, at Straight Line Design we try to meet the needs of every customer. We offer several different cabinetry lines that vary in price to fit every budget and style. Quartz and Granite are both very strong, durable, and beautiful countertops; Quartz requires no sealing, and it does not allow bacteria and stains to soak into the surface of the countertop. Granite requires sealing in order to make it resilient. Whichever you choose, both options will add value and distinction to your kitchen. Lead time varies depending on the type of product that you purchase. Cabinetry can take 4-5 weeks to deliver, countertops average between 4-5 weeks to process, flooring can take 4-6 weeks depending on the size of the order, and other items may only take 1-2 weeks (like hardware), but it all depends on the item and if it is in stock. What is the most desired kitchen feature? A kitchen island is a highly sought after item. Islands are great for having seating right in the kitchen for social interaction, they add additional storage, and they can hold appliances. You can add your kitchen sink in the island, or you can use it as an area for a preparation sink. Cook tops and under counter refrigerators for beverages are other amenities that people choose for their island. Another highly desired feature is the range hood, whether it is an elaborate wood design or sleek stainless steel, it can be a statement piece in the kitchen. We offer three different consultation packages. Please, refer to our “About Us” page for packaging pricing.